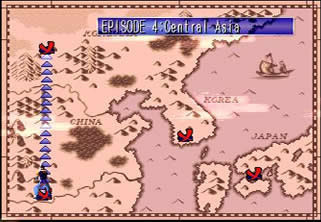 Now, nine warriors from around the world search for the sword for different reasons. Some for power, others for revenge; some believing it's a benevolent sword, searching for its support; while others knowing of its evil nature, seeking its destruction. 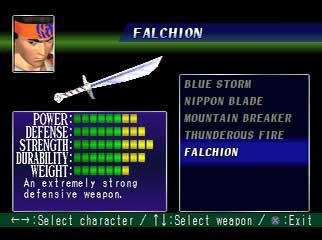 Nothing is known for certain about the sword, except for one thing: it brings misfortune to those seeking it. 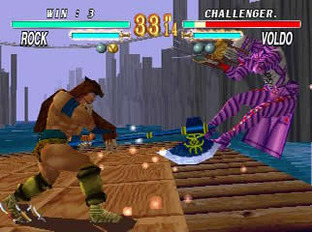 Sorry MK fans... no blood. Only cool looking sparks! 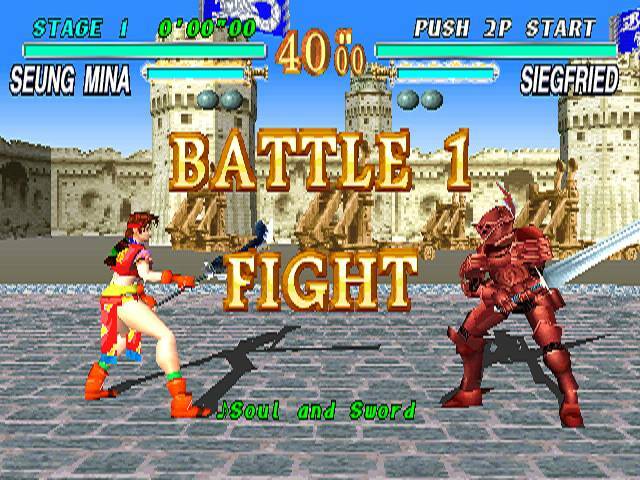 REVIEW: Soul Edge was the first 3D weapon based fighting game of its kind, and originally released in arcades in April 1996. 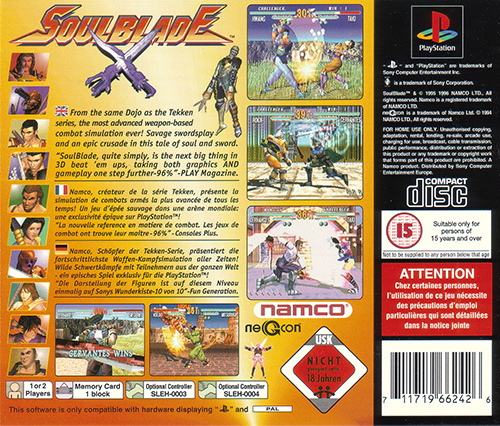 The Playstation-exclusive home version, Soul Blade, followed in January 1997, turning heads with its crisp graphics, smooth gameplay, and impressive content. 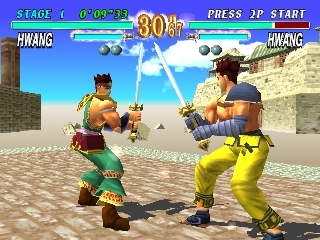 The home port presented an epic new opening cinematic (still awesome to this day), improved visuals from the arcade version, and a fun and innovative Weapon Master story mode, where players collect a variety of weapons per character, each weapon featuring its own unique abilities. 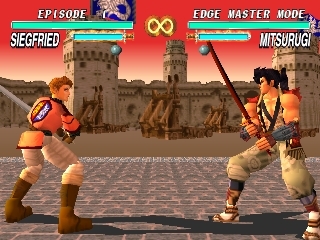 Weapon Master mode was one of the most innovative and interesting "extra" modes to ever appear in a fighting game, to date. 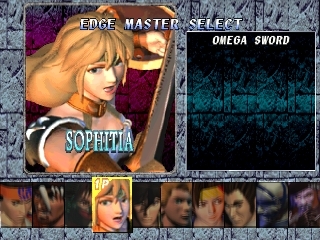 Sophitia is a hottie... and has some naughty naughty moves. 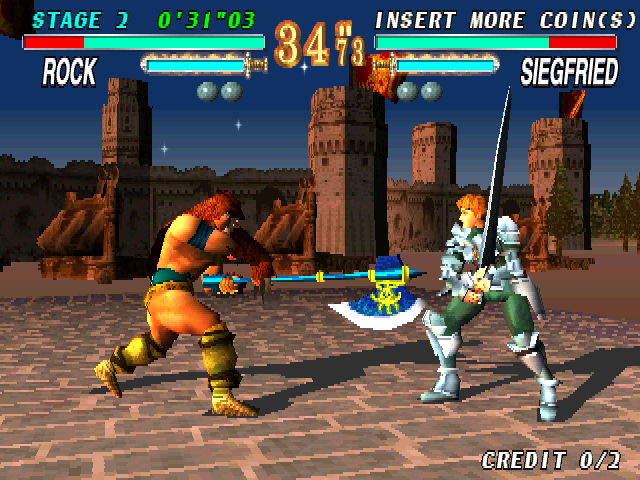 The gameplay of Soul Edge / Soul Blade offers a variety of unique aspects. 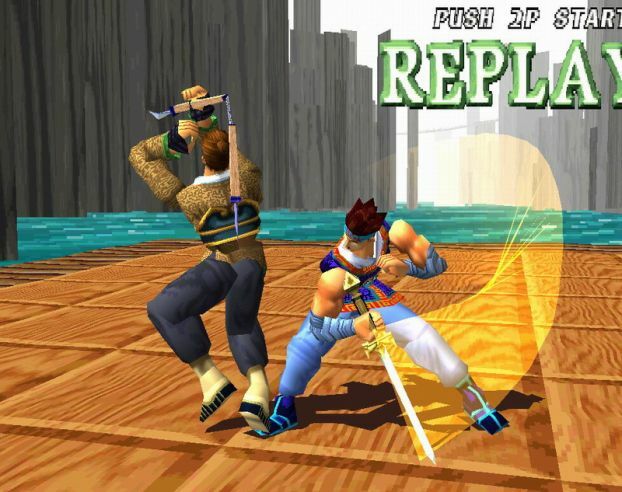 It's one of the first fighting games to offer a solid sidestep game. 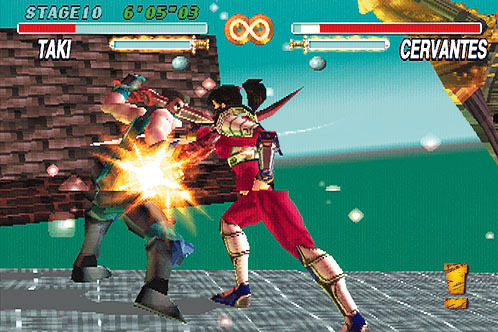 Characters can sidestep incoming vertical attacks by double-tapping down or up to move into the foreground or background, respectively. 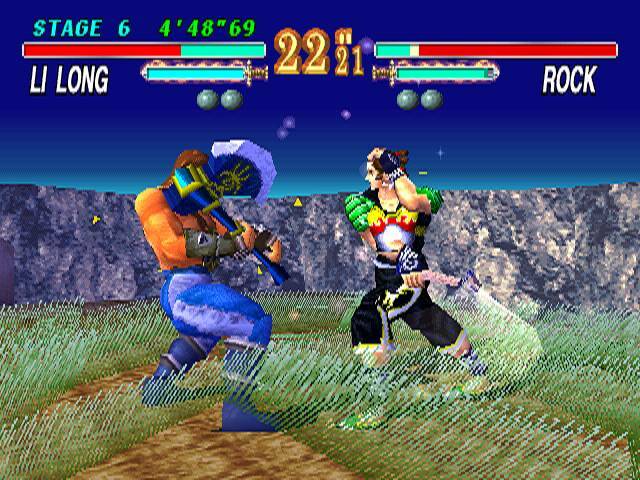 In addition to the standard Health Gauge, each fighter also has a Weapon Gauge. 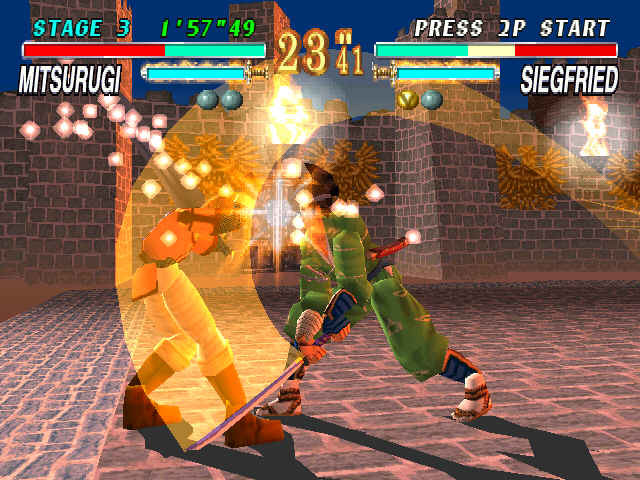 Each time an incoming attack is blocked, the Weapon Gauge will deplete. 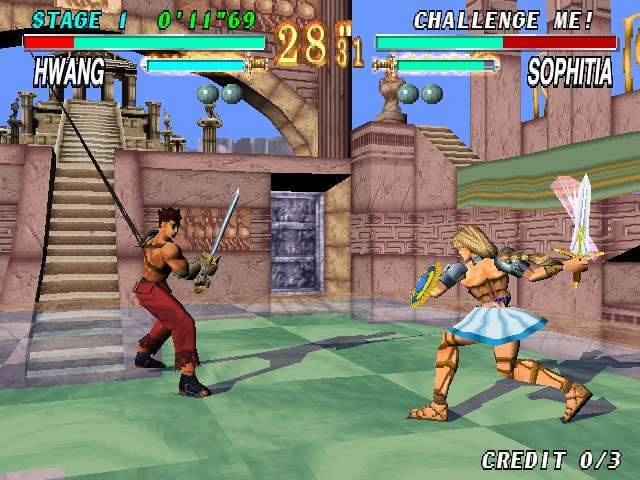 If the bar becomes fully depleted, the character will lose their weapon and be forced to complete the match unarmed. 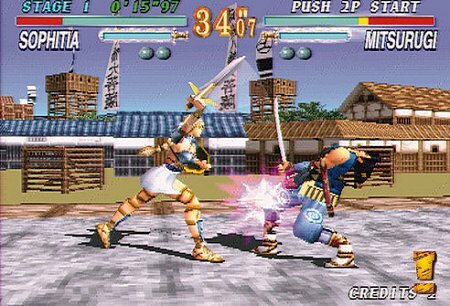 Even though this is an interesting and innovative idea (previously used in Samurai Shodown 2), unfortunately, the movesets for unarmed characters are very minimal, and practically the same across the board. On the bright side, weapon disarms don't happen very often, so they aren't a big part of the gameplay. 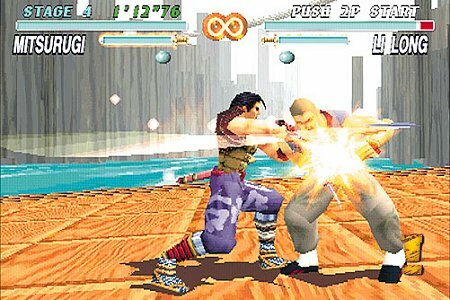 Like in Virtua Fighter, a round can be won by a knockout or a Ring Out. 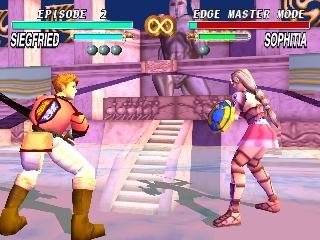 The rings of Soul Blade are generally squares, but their are a variety of ring sizes which changes up the strategy depending on the stage. 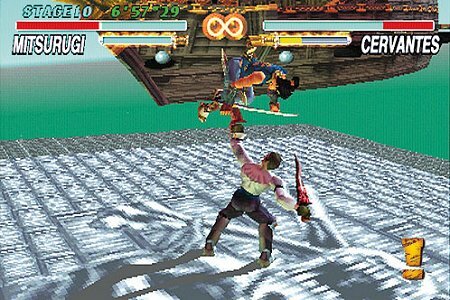 Some players hated the very idea of ring outs, though other players that used ring-out strategies to their advantage, grew to love them. 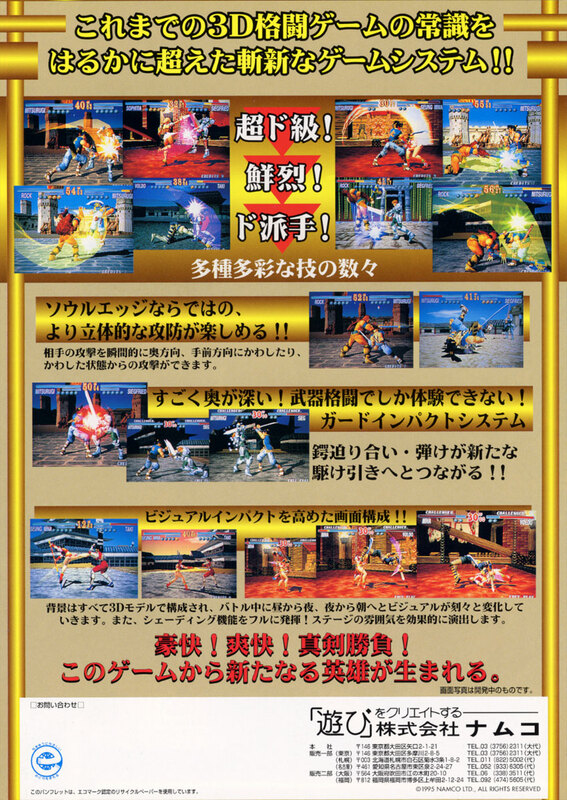 Finally, each character also has one or two Critical Edge attacks at their disposal (similar to a super move), which consist of a series of attacks and usually ends in a strong high attack. 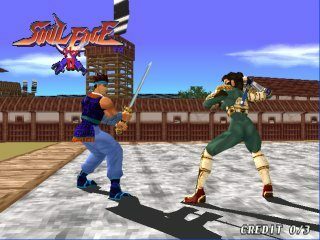 Soul Edge/Blade featured some brutal looking throw moves. 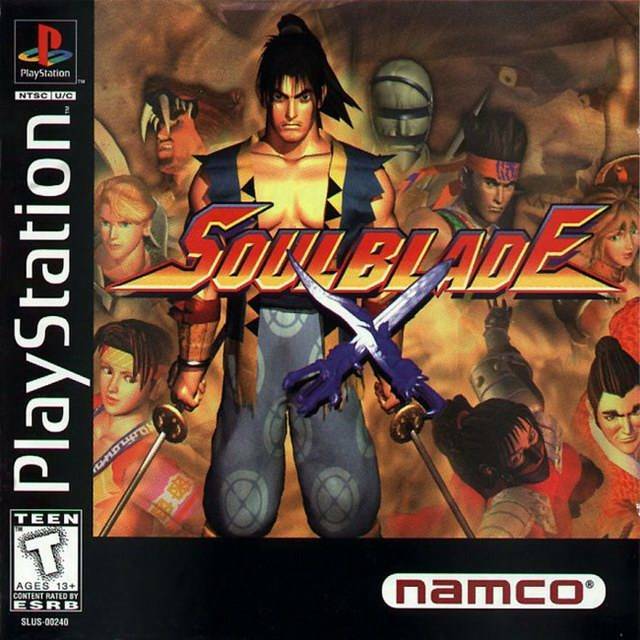 Though definitely solid and unique for the time, Soul Blade's gameplay seemed slightly "slower" when when compared to other fighters. 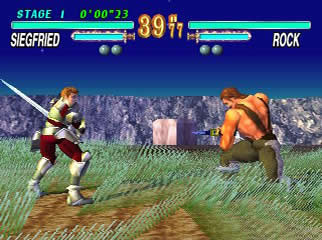 The frame rate being 30 frames per second also made the game feel a bit sluggish, but the unique pace of the game might've appealed to some players. 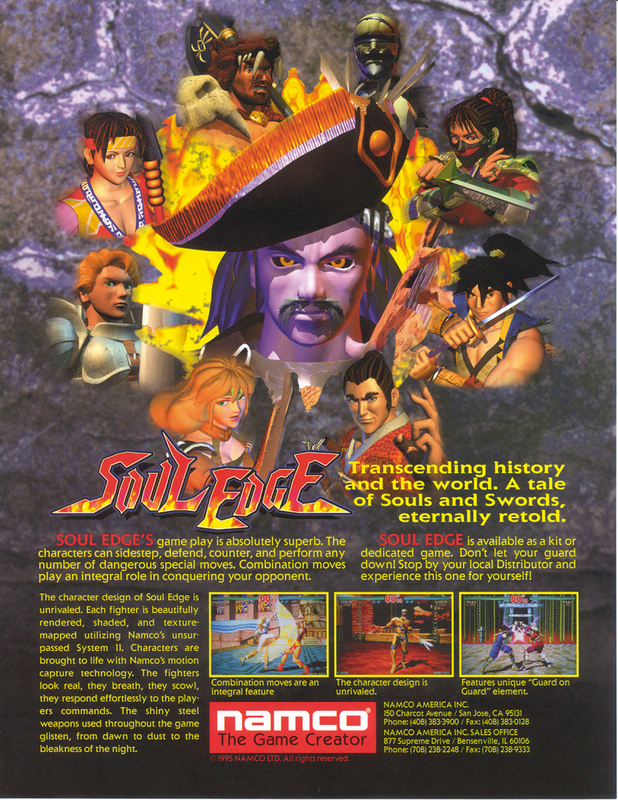 Presentation-wise, Soul Edge was a very memorable game for the time. 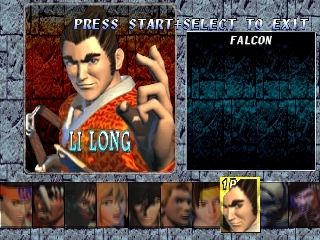 The quality soundtrack and memorable sound effects helped create the historic mood for the game. 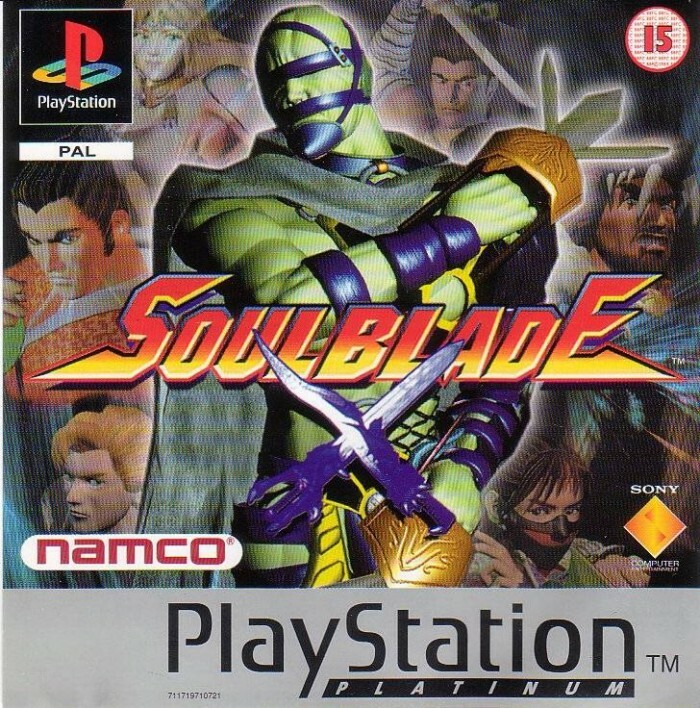 No doubt, Soul Blade on the PS1 was an amazing package and was one of the best and most well-rounded console games available at the time (if not the best). 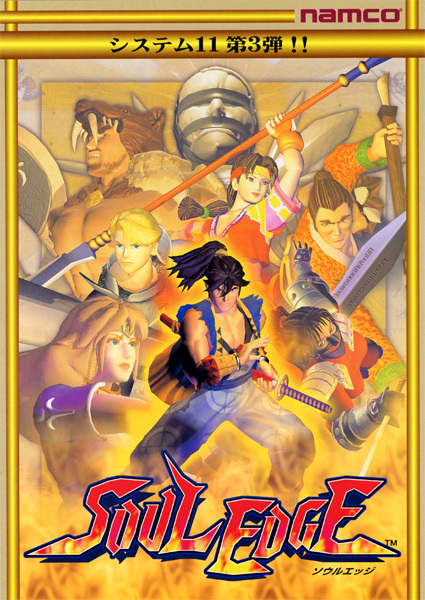 The thing that really made this title stand out were the diverse characters... each representing their own unique brand of weapon fighting. 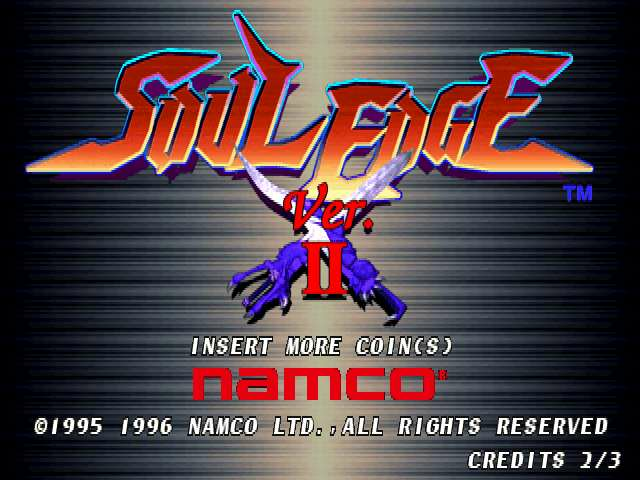 The characters of Soul Edge/Blade were also quite fun to use and most were very original designs at the time. 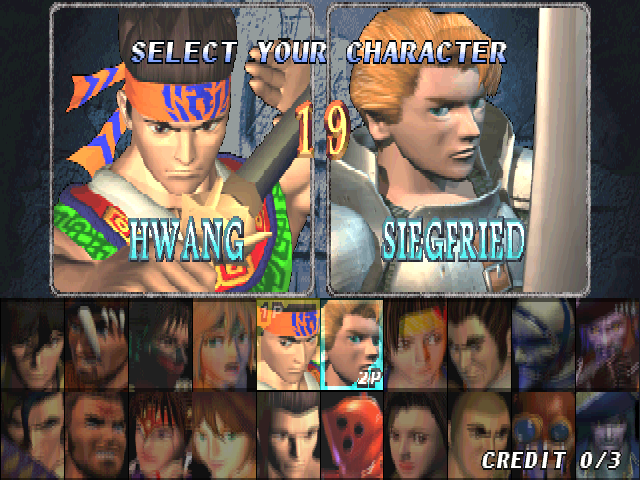 The diversity of their fighting styles and appearances made for an interesting match up every fight. 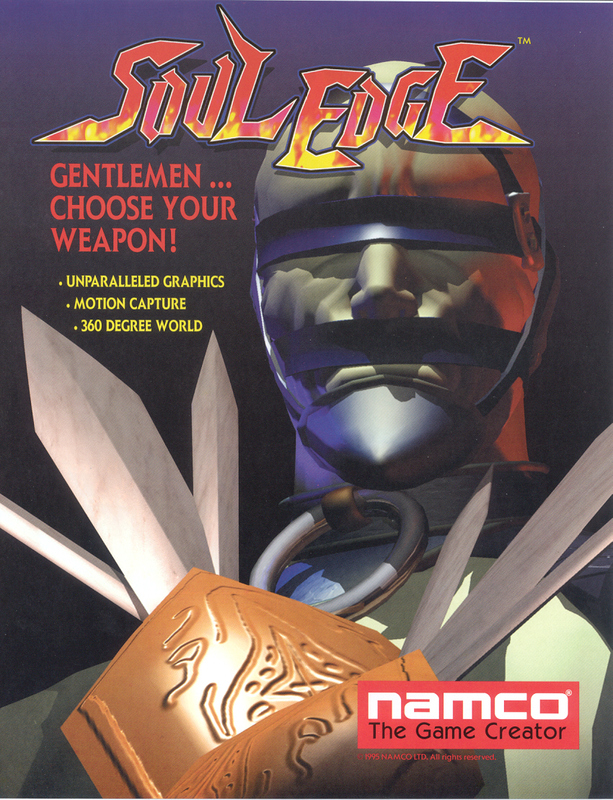 Final Words: Soul Edge / Soul Blade was the beginning of what was soon to be become a star fighting game franchise that raised the bar for 3D fighters. 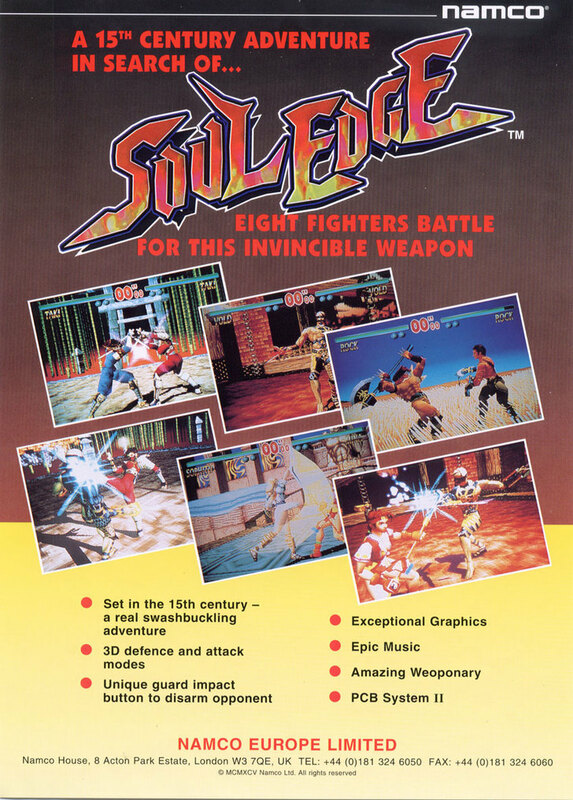 The original was a bold and original take on the fighting game recipe, and perhaps even a little ahead of its time. 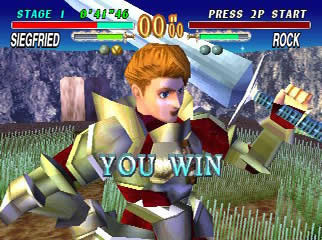 A few years later, Soul Calibur took the series to a whole new level.